When you purchase a new or used car from a dealer, your auto loan will include a variety of fees that you will be expected to pay. And for a lot of buyers who only focus on the monthly payment, as opposed to looking at the total vehicle cost, these fees will seem like they are "hidden." While many of the fees are non-negotiable, some of them are avoidable, so it pays to know what to look for when you're going over your sales contract. Especially if you need to stay within a tight budget or have bad credit. 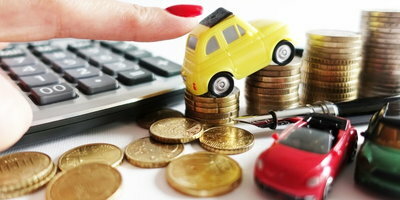 Interest Charges: Most people realize that they will be expected to pay interest on money that they borrow to buy a car. 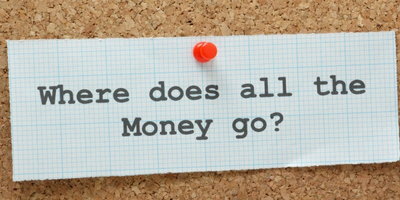 It is the second largest expense (coming in right under the actual price of the car) associated with buying a vehicle. 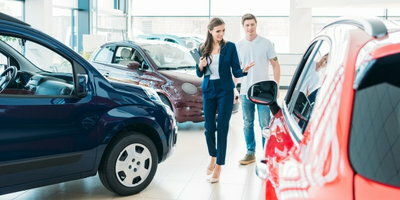 However, unless you're paying attention to the total cost of the vehicle, you may not realize exactly how much you will be paying in interest fees. Interest Rate Markups: This may be the only really and truly hidden fee that is associated with your auto loan. When a dealer gets you financed through a third party lender, that lender assigns an interest rate to the loan. The dealer can then legally increase the interest rate by a few points and pocket the profit that is generated. State and Local Tax: This charge shouldn't come as a surprise. Like all purchases, vehicle purchases are subject to appropriate taxation. Negative Equity Financing: You will only be subject to paying this charge if you are trading in a car that's worth less than what you owe on it. In this case, the remaining balance from your old loan is simply added to the total your new loan. Also, keep an eye out for dealer related fees. These charges that are controlled by the dealer because they may be waived or at least lowered with some negotiation. Floor Plan Fee: This reflects has much it has cost the dealer to keep the car in their inventory. Advertising Fee: This is literally an estimate of how much the dealer has had to pay (in terms of promotional material) to get you onto the lot to buy the vehicle. Destination and Delivery Fee: This is how much it cost the dealer to have the car shipped from the manufacturer. And the charge is fairly significant, ranging between $500 and $1,000, depending on the manufacturer. And finally, you will have options to buy certain services and features when you purchase your vehicle. These add-ons may include GAP insurance, credit insurance, extended warranties, anti-theft devices, rust proofing and fabric protection. Just make sure that you only end up paying for the items that you actually want. When you are ready to buy your new or used car, truck or SUV, trust the experts at Auto Credit Express to help you get an affordable auto loan. Even if your credit is damaged, we can work with your situation in order to find a financing solution that serves your particular needs. Just fill out our fast and secure application to get started today.